Diamond Seeds talks to Steve Spon on matters Nostramus and UK Decay. We recently caught up with Steve Spon to ask him about his re mastering of ‘Earthlights’ an album that he wrote and produced in 1997 for Nostramus. Steve Spon (aka ‘Spon’) has recently re-joined the re-formed legendary eighties post-punk-goth pioneers, UK Decay. We were fascinated to gain a glimpse into the thinking behind the re mastering of the classic nineties ‘D ‘n’ B noir’ album. D.S.# You have returned to your punk roots playing guitar again with UK Decay, in your musical evolution how does that relate to your D ‘n’ B oriented Nostramus? D.S.# Would Nostramus appeal to the average UK Decay fan given ‘drum and bass’ surely had so much bad press? D.S.# Drum and bass was cool back then? “The movers and shakers of this emerging British scene were young DJ’s who had no hack with the old ‘rules’ of creating music. 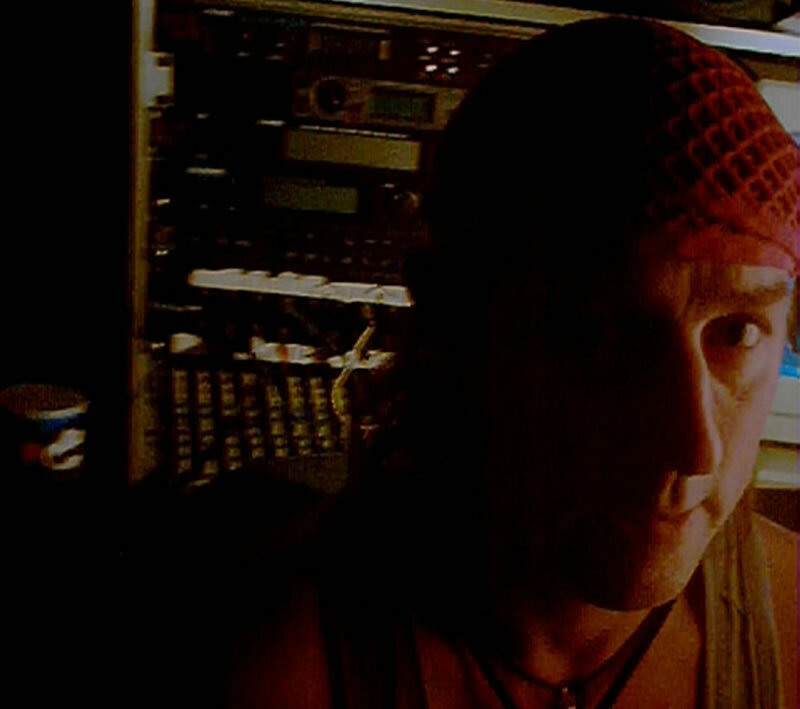 Like many others, evolving from the former 80’s punk scene I moved into the D ‘n’ B at a early stage in its development. D.S.# What gave you the idea, or set you on the journey to creating a drum and bass album? “Drum and Bass as well as other so-called ‘rave-music’ was developing it’s own set of rules that related to the flux’s and flow of the dance-floor. My tastes were still on the darker, deeper and hopefully more thoughtful side. At that time I was a recording studio engineer/producer and that made me open to a wide input of styles. Steve Harle introduced me to the D ‘n’ B scene back in the very early nineties. He encouraged me to embark on the musical journey that would eventually create my first album under the name Nostramus. D.S.# What was your aim in creating Earthlights your first album, how did you go about determining what it would be? D.S.# Sum up Earthlights message? D.S.# How many did Earthlights sell back in the nineties, how did it fit in with the drum and bass scene? D.S.# What led you to re-mastering Earthlights? D.S.# Did you just re-master or is there anything else added or taken away? D.S.# What about the rumours of Earthlights II any chance soon? “I have had most of the material for this sitting on my shelves now for a good few years. Now with the help of Diamond Seeds work is in progress to see this project through. I shall be editing and remixing some of the material and with the addition some new performances and samples, I will collate into the final cut. I am hoping for around March April 2010. What are your future plans with UK Decay, are you enjoying their revival? “I am really enjoying playing live with Decay again. It’s a real buzz playing guitar in a live situation, I had forgotten about that. D.S.# Any future Nostramus beyond Earthlights II? Nostramus is now signed to Diamond Seeds Productions.